Celebrating twenty-four years of oceanfront fun! Beach Blanket Beledi is an annual seminar and dance party held in Nags Head, NC, on Columbus Day weekend. The twenty-third annual event is on October 5-6, 2018. The focus of Beach Blanket Beledi is that dance is serious fun. The emphasis is on creativity, exploration, and innovation. Dalia Carella is a renowned Near/Middle Eastern and world fusion solo artist, choreographer, master teacher, and Founder/Artistic Director of the Dalia Carella Dance Collective. Dalia has been training professionals and students for many years with her enormous wealth of dance technique and theatrical presentation in any style that she teaches. Dalia has delved deeply in Near Eastern and Turkish Romani dance, as well as Flamenco, Indian, Bollywood/Bhangra, Afro-Haitian, Samba, Salsa, Afro-Puerto Rican (Bomba and Plena), Tango and Western dance such as jazz and ballet. Her numerous concerts and teaching tours have led her throughout the US, Canada, England, Puerto Rico, Switzerland, Germany, Spain, Portugal, Italy, China, Turkey, and Japan. 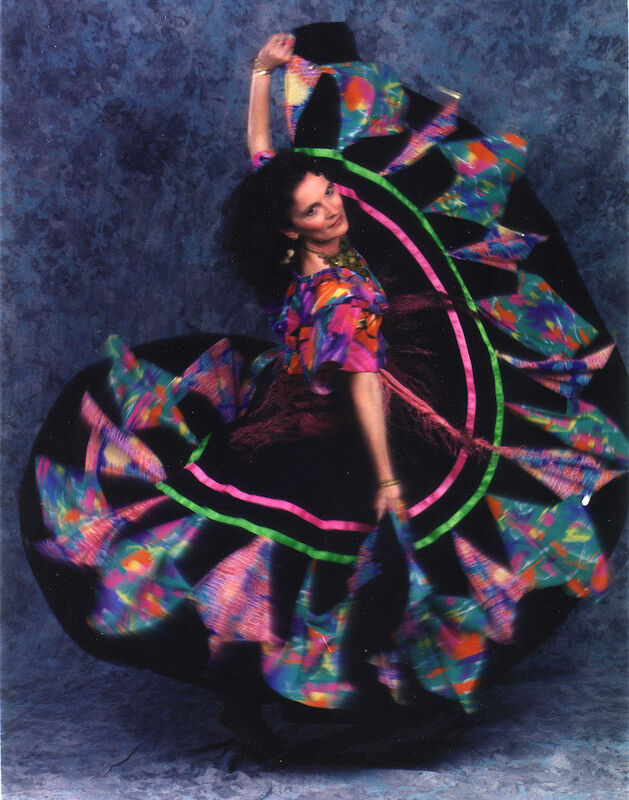 Dalia's much sought after teaching style and performance technique of innovative Belly Dance, Turkish Romani and Flamenco Araby movements and skirt work have been sought after and appreciated by both Near/Middle Eastern and Tribal Dance communities around the world. Dalia will present Tango Oriental: The Passionate Veil: Looking for different ways of expressing yourself? This class is geared towards helping dancers to create movement and shapes and using the veil as your partner in dance. Learn to become one with the veil, feel its intensity, feel its beauty, flow with it. Expressive combinations and air design movement will be explored while using a veil to sultry tango music. Experience Dalia’s unique approach to veil work through her invaluable dance experience throughout the years. Please bring a 3.5-4 yard veil if possible. For more information on Dalia Carella, visit daliacarella.com. Tempest is a world-renowned bellydance performer and instructor, focusing on sacred and darkly inspired fusions that pull from the traditions of North Africa, the Middle East, and the Mediterranean. Her compellingly artful performances exemplify her distinctively theatrical, unique, and expressive style that are rooted in oriental dance technique with a transcendent approach. She is also a professional artist, author, and designer. Nathaniel Johnstone is a multi-instrumentalist virtuoso (violin, viola, guitar, banjo, mandolin) whose music pulls from myth, fantasy, and folklore with a vibrant sound crosses boundaries & borders, resulting in a blend of multicultural folk rock. Tempest and Nathaniel live in Seattle with at least 3 cats. Tempest and Nathaniel will present Anatomy of a Song and Dance.Are you hearing the music when you dance? Are you REALLY listening? Most importantly, when you dance, does the audience see the music through you? A key task of a dancer is to be a visual representation and interpretation of the music they are performing to. To achieve this, you need to be able to recognize the layers present in your music, and choose what to work with and how to translate it into movement. We will work with original music by Nathaniel Johnstone, take it apart layer by layer, address the musicality of each part, how it translates into movement on stage, and then put it back together into a solid dance. This workshop will aid you in learning to listen more effectively, identify instrumentation, and make more fabulous choices about what to use as a foundation and what to accent in any piece of music you wish to dance to. For more information on Tempest, visit darklydramatic.com. For more information on Nathaniel, visit www.nathanieljohnstone.com. Chelydra will present Art of the Skirt. Did you know your skirt has a personality, just as your veil does? 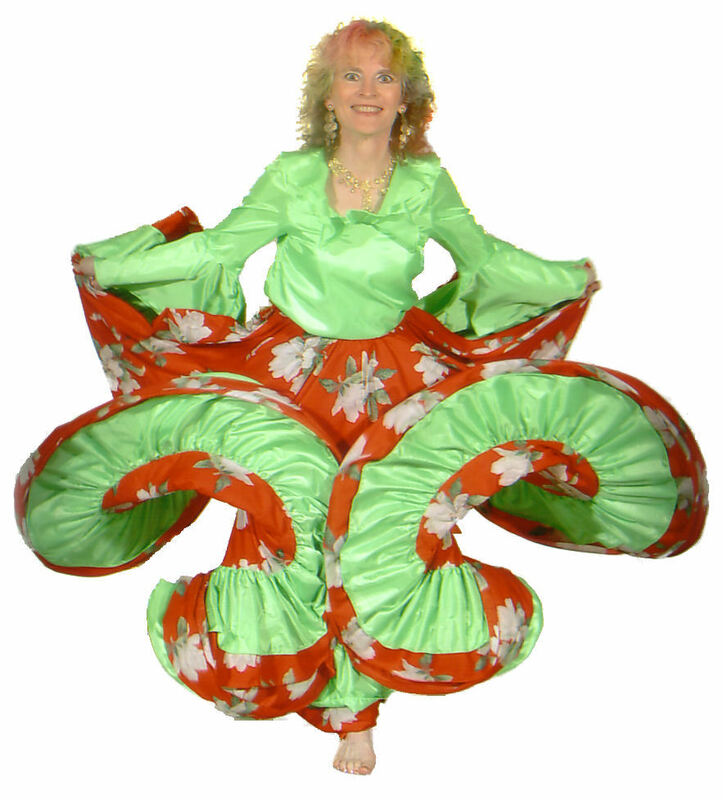 Learn to partner with your skirt, taking advantage of its unique qualities to incorporate the drama, depth, and playfulness seen in Andalusian, Romany, and samba dances into your individual movement repertoire. Enhance your dance! Be sure to specify Beach Blanket Beledi when you call to get the special seminar rate! Room rates are $85 bay view/$95 ocean view for 1-2 persons. A limited number of King rooms are available for $105 (ocean view). Add $10 each for a third or fourth person. At the current time, room tax is 12.75%. Reservations must be cancelled 48 hours in advance, or a 1-night stay will be charged. The hotel is usually full over the holiday weekend, so call early to guarantee you get the room you want. Reserve rooms by Friday, 9/07/2018, or rate and availability are not guaranteed. The hotel frequently sells out over this weekend, so don't procrastinate. The fee for the seminar and dance party is $70 if registration is received by 09/07/2017, and $80 after that date. Groups of five registering together receive a $5 per-registration discount. Additional dance party guests are $5/$2 (adults/children).